Time always feels like it’s running away on me – and Christmas always seems to creep up so fast! 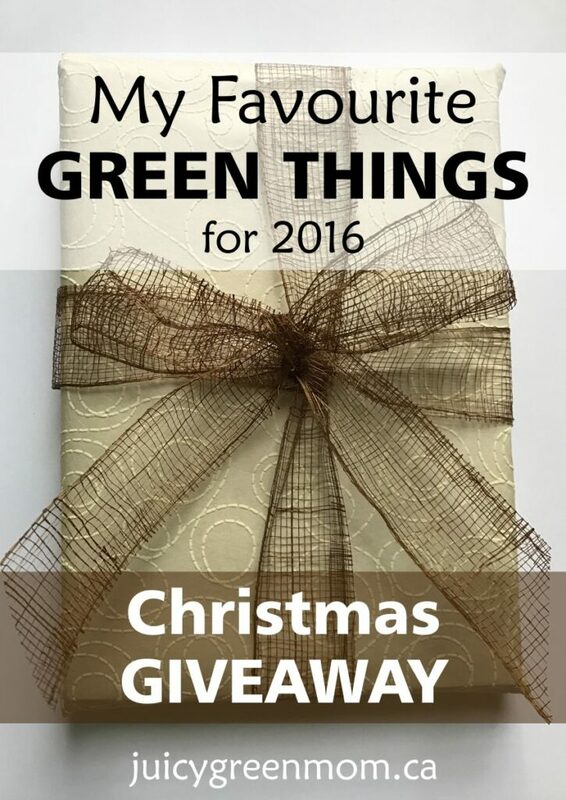 However, I HAVE gotten together a list of my favourite green things to give you some ideas for green gifts (for yourself or for others!) and some sweet giveaways as well (yes there’s more than 1 giveaway! Keep reading!). 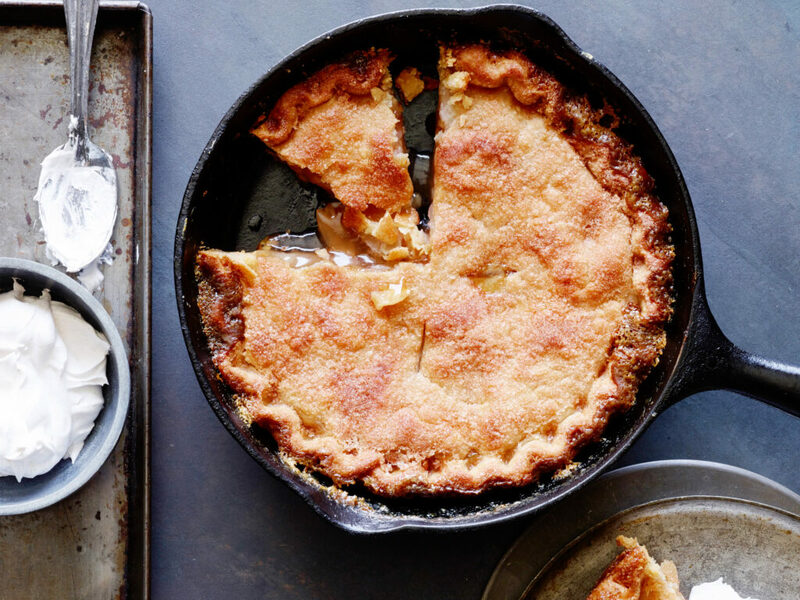 Cast Iron cookware has been around for millenia, with good reason. It creates excellent tasting food, and is non-stick without the toxic teflon (read this to find out why you should choose safer kitchen cookware). This Lodge 10″ skillet will last forever! 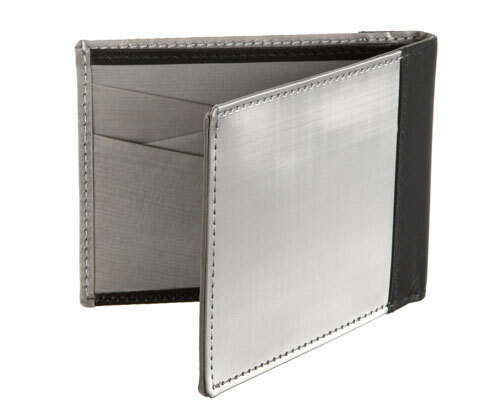 Ultra cool Stewart Stand Wallets are made with recycled stainless steel thread, are flexible and silky to the touch. A flexible stainless steel wallet? Say what?? My husband would flip over this! 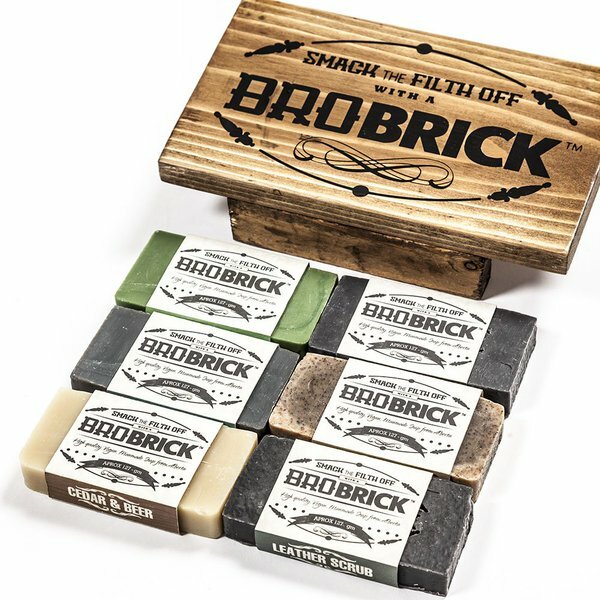 Locally made vegan, manmade BroBrick soaps were recently featured in GQ! 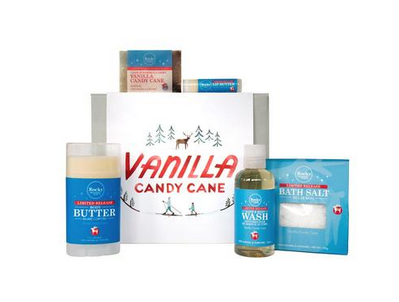 Rocky Mountain Soap has dozens of delicious gift sets, including Vanilla Candy Cane. Mmmm… I LOVE LOVE LOVE this scent and stock up on it during the holiday season to use the rest of the year! Instead of wine, support Alberta bees by giving the best honey in the world. Sweet Pure Honey must be sampled to understand this claim, but you will agree! 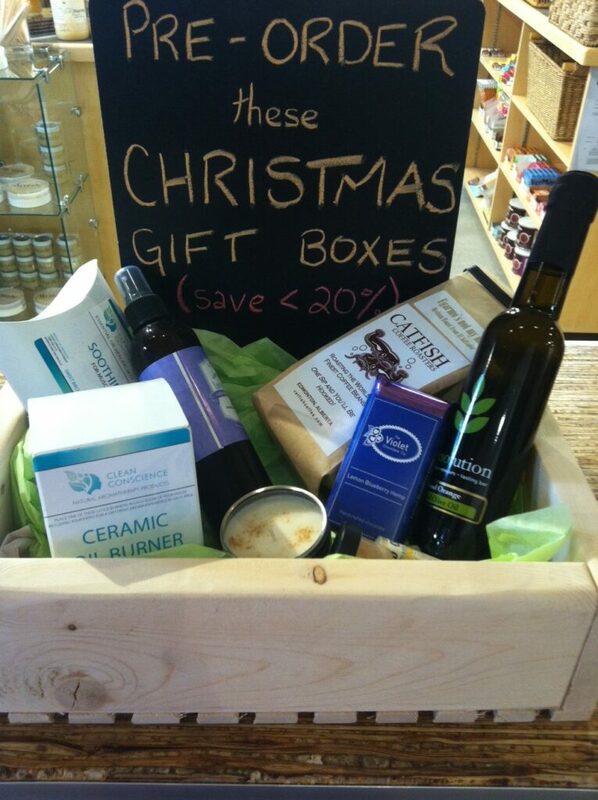 Carbon has gift boxes, upcycled from shipping pallets, chock full o’ goodies. Buy this way and save 20% off the goods inside! Sweet deal! Call Carbon to order your box now! Carbon is offering a GIVEAWAY for an awesome gift pack of yummy Rocky Mountain Soap products and a $15 giftcard (total value $72.65CAD)! Enter now!! I LOVE LOVE LOVE the pajamas, loungewear and underwear from Underables, and Cher, the owner, is such an amazing green mama herself (interview here). Underables has some gorgeous pajamas from G. Nancy right now that are made from organic cotton and printed with water-based inks. My daughter LOVES her stars pjs from G. Nancy! Now, how about a GIVEAWAY to help you get some of your Christmas shopping done? Enter to win a $50 giftcard from Underables! Zorah is a cosmetics company out of Quebec that uses fair-trade, environmentally friendly ingredients with a focus on Argan oil. Their products are made in Canada, and are free from parabens, GMOs, propylene glycol, EDTA, polyethylene, PEG, sulfates, perfumes or any ingredients harmful to health or the environment. I did a review of their Oily Skin Set, as well as their Argan Oil and Body Cream which you can enter to win right now (until November 30)! These 2 products would be such an awesome gift for anyone on your list! Enter the GIVEAWAY now to win Zorah’s Argan Oil and Body Cream! It’s no secret that I’m a huge fan of The Organic Box, after having been a satisfied customer since they started over 6 years ago. One of the best gifts I ever got was a giftcard for The Organic Box, and they have a huge selection of products that is ever expanding, so you can always find something you want! 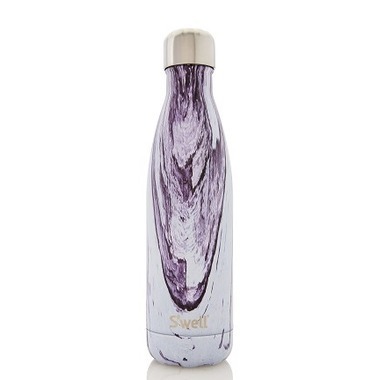 I got a S’well water bottle back in June to take on my trip to Utah for Young Living convention because I’d heard fabulous things about how they keep water cold for 24 hours (and Utah was going to be HOT). It didn’t let me down – I had cold refreshing water, even after a hot day at the lavender farm. This has now become my absolute favourite water bottle, and I would love to get another one as a gift! How cute would this be for your kids or their friends? Jack N’ Jill makes a natural toothpaste for kids that is safe to swallow. They have also designed and manufactured the first children’s toothbrushes with handles that are made of NON GMO cornstarch, and are therefore biodegradable and recyclable. 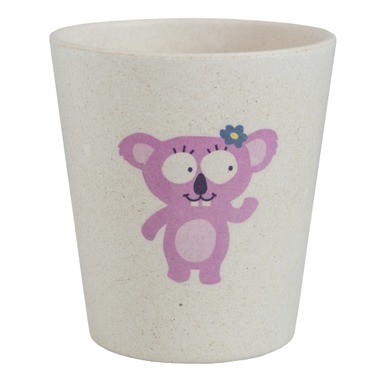 This adorable cup is made from bamboo and rice husks and is biodegradable when you’re done with it! I’ve used this super safe nail polish with my daughter and she loves it. It is completely safe to use and peels off so no remover is needed. Perfect for anyone big or small who loves a little fancy-stuff on their nails! For other eco-friendly gift ideas, check out my favourite things list from last year, or my wishlist from Mother’s Day. What #greengifts will you give this year? My kids would love underables and they would be perfect for camping.